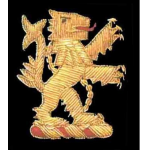 Black velvet houseshoe with traditional gold rampant lion hand embroidery. Leather sole and attractive red quilt lining. Classic Velvet Albert Slipper. 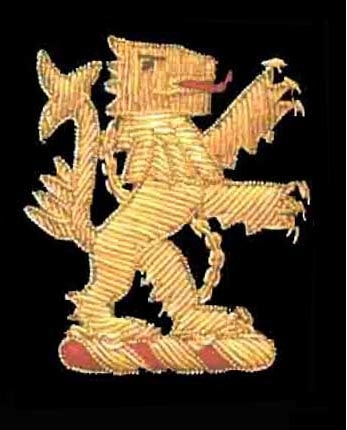 The embroidery is done by hand using gold bullion wire. One of our Bowhill & Elliott Originals. 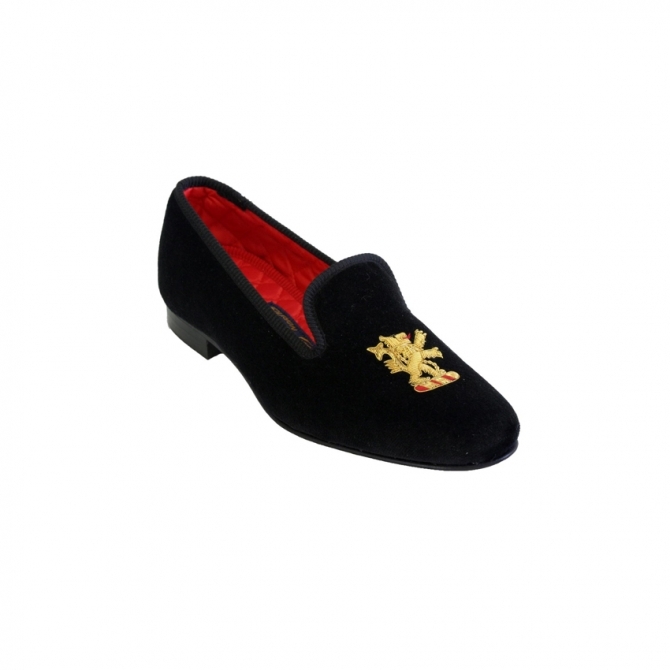 Black velvet houseshoe with traditional gold rampant lion embroidery. Leather sole and attractive red quilt lining. Classic Velvet Albert Slipper.